A series of public meetings have been scheduled for the coming week by the National Park Service regarding the future of wolves on Michigan’s Isle Royale. As many know by now, the Isle Royale wolf population has declined from their 1980’s peak of an estimated 50, to now only eight. Research now suggests that absent human intervention their numbers will soon become zero. 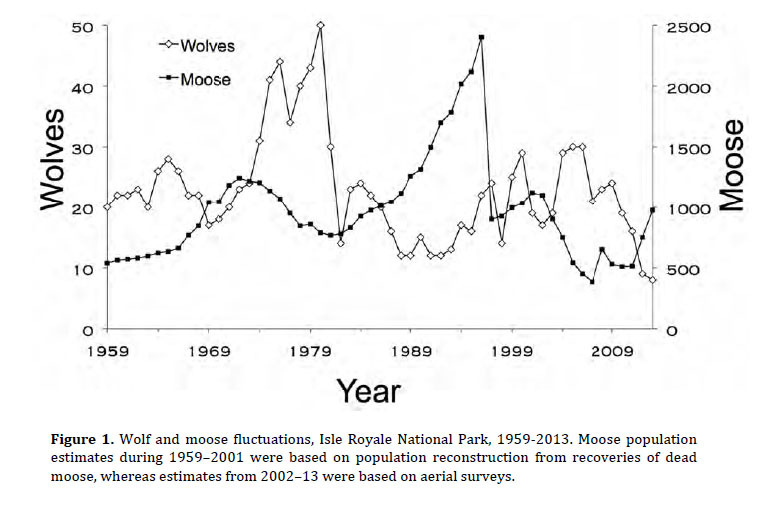 The close relationship between Isle Royale wolves and moose has been the subject of a wonderful 55-year study. This research has documented their respective population trends together with the data which help explain these historical fluctuations. 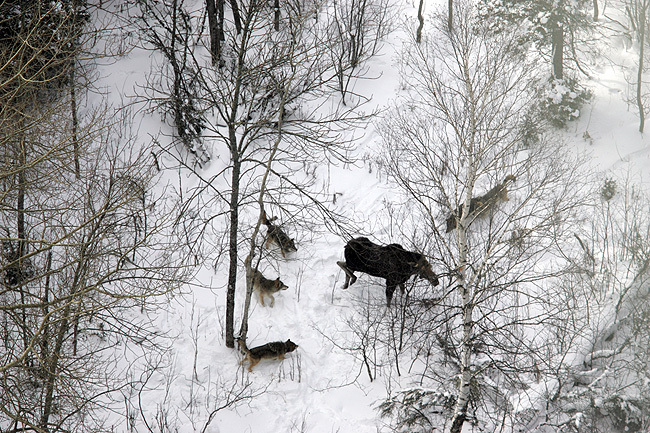 According to the 2012-2013 Annual Wolf Study Report , “Since 2009, the population has declined 66% from 24 to 8 wolves.” Prior to the most recent population decline, wolf numbers had historically been most greatly affected by moose numbers. The 2011-2012 Annual Wolf Study Report provided an explanation of this decline which included a “perfect storm” of factors which included genetic deterioration, disease, declining food and skewed gender ratios. Perhaps the most significant of these factors is the one which is difficult to cure without the continued artificial reintroduction of wolves to the island – that is the issue of inbreeding. Since this issue, together with disease and a variety of other climate-related factors are unlikely to be solvable anytime soon, it would appear to be time to allow the wolf population on Isle Royale to go the same way it came – by the hand of nature. As sad as it is to let some 15 generations of wolves entirely disappear from Isle Royale, further intervention in this process is only likely to turn decades of admirable wildlife research into an artificial lab experiment. For those who fear that the absence of wolves will result in the destruction of fragile island ecosystems caused by an exploding moose population, better alternatives to human-assisted wolf reintroduction would appear to exist. Although it would require modification to existing park rules and federal regulations, one way to manage moose numbers in the absence of wolves would be through a limited moose hunt. This hunt could employ the successful model used for Michigan’s elk hunt. This has proven to be an effective tool in maintaining their numbers within a planned population range. A limited moose hunt of this type might also provide an additional means of revenue generation, as well as a new source of public and bi-partisan political support for Isle Royale as a National Park. As calls for spending reform within the National Park System grow, calls for the closure of Isle Royale National Park may soon become common. In a recent report from Oklahoma Senator Tom Coburn’s office entitled “Parked – How Congress’ Misplaced Priorities Are Trashing Our Treasures,” Isle Royale National Park is cited as an example of the Park system’s misplaced priorities. Although the wolf-moose relationship on Isle Royale has provided a worthwhile scientific and wildlife research opportunity, it would appear to be time to let legendary conservationist Gifford Pinchot’s credo of the Greatest Good guide these decisions.